Tell your Assembly Member to vote YES and accept the proposed new dog breeding legislation. You've only got a few days to make your voice heard - July 15 is voting day! The Welsh Government has published the proposed new regulations for dog breeding in Wales, titled ‘The Animal Welfare (Breeding of Dogs) (Wales) Regulations 2014’. 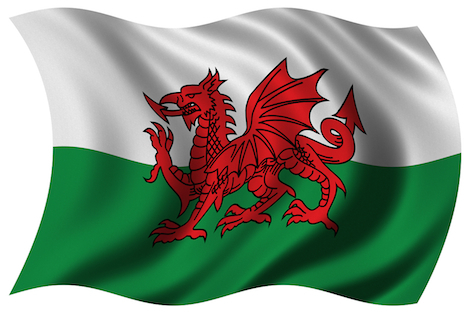 On 15 July the Welsh Assembly will debate the proposed regulations and vote whether to accept them or not. If you reside in Wales, this is your chance to contribute towards a momentous time in history for breeding dogs and their puppies. PLEASE write to your Member of the Welsh Assembly, stressing how important it is to you that these proposed new regulations are passed into law. Though these proposed regulations do not go as far as we would like, they are a significant step in the right direction, which is why Naturewatch Foundation and C.A.R.I.A.D are in support of them. 4) The proposed breeding Regulations will require that both breeding dogs and puppies are micro-chipped and that a puppy may not be sold unless chipped and at least 56 days (8 weeks) old. In fact, at the Assembly debate on the 15th July, a second piece of legislation will be voted on also – a Bill to require that all dogs in Wales are micro-chipped from the 1st March, 2015. So the micro-chipping provision in the breeding regulations only slightly anticipates this coming in for all dogs. 5) Local authorities will have the power to directly suspend or revoke licences without the need to go to court, which costs a lot of money and time. Please write to your AM today! Stress to them the importance of voting YES to the proposed regulations, and how there can be no more delays. There are thousands of breeding dogs and even more puppies out there counting on you! This is a critical time in history for them, and they need you to use your voice because they can't. I know you won't let them down! !